Welcome to the St Vrain Market! 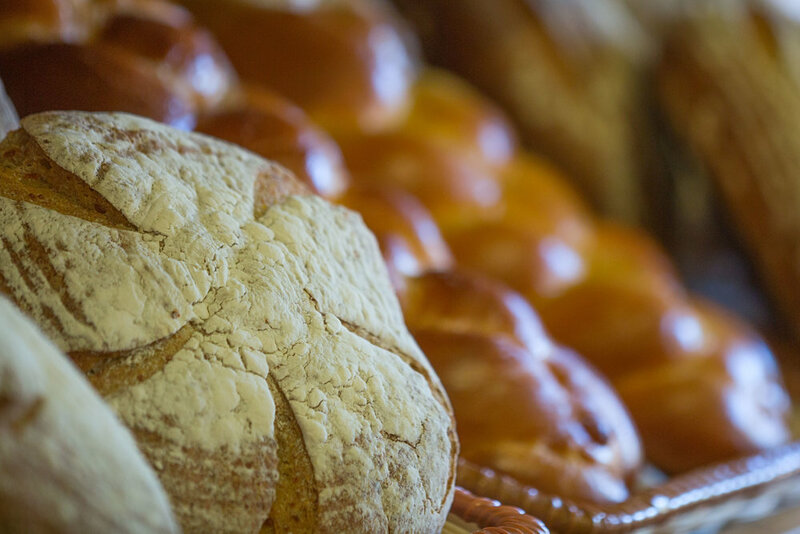 We are an independent, locally owned Market specializing in our fresh baked goods, handmade deli sandwiches, homemade sausage and speciality meats, fresh local produce and more. Our mission is to bring you and your friends the most local & fresh culinary options in Colorado. We do this through our commitment to customer service and quality made products. See you soon. We'll be sharing information about what's going on at St. Vrain Market, including exclusive offers for our newsletter subscribers. Our in-house bakery will amaze you every day starting your mornings off with made-from-scratch cinnamon rolls, scones, muffins, and croissants. By mid day our french baguettes come from the oven warm as well as our speciality bread-of-the-day (artisan bread schedule link). By early afternoon, a panoply of made-from-scratch pies, cookies and bars emerge from the bakery including many fabulous gluten-free options. We encourage you to check out our artisan bread schedule (link). We encourage you to submit special requests for us to best meet your needs. We are here to serve you and amaze your senses with our homemade baked goods. We offer our customers a wide variety of fresh seasonal fruits and vegetables. Everyday, you can expect to find our produce fresh, locally sourced whenever possible and many organic options to fit your dietary needs. All natural and nitrate free meats and cheese everyday. Sliced to order all natural deli meats include Pastrami, Salami, Oven Roasted Turkey, Black Forest Ham, Medium Rare Roast Beef. Sliced to order all natural cheeses include Swiss, Pepper Jack, Muenster, Provolone, and Mozzarella. St Vrain Market prepares and packages our own fresh in-house deli salads including Curry Chicken Salad, Pasta Salad, Beet Salad, Kale Salad, Potato Salad, Buffalo Chicken Salad, Tany Tuna Salad and more. Come in and see what we have made fresh for you today. Blue, Brie, Camembert, Chèvre, Gueyere, Gouda, and many more help you entertain in style. Pair any of these with our smoked salmon offerings and amaze your family and friends. Much of our national reputation comes from our amazing deli sandwiches serving locals and visitors alike. Made to order using only the best ingredients; including Appelgate nitrite and nitrate free all natural meats, and Andrew & Everett cheeses. Whether you are headed to Rocky Mountain National Park with one of our Brown Bag Lunch specials, walking the store fronts on Main Street in Lyons, or grabbing a quick lunch in a busy work day, let us wow you with one of our delecious deli sandwiches made to order. All natural grass fed beef, locally sourced lamb, and chicken products, homemade sausage, freshly ground sirloin daily, center cut as well as brined and smoked pork chops, as well as fresh seafood options. We are known throughout the state for our beef. Harris Ranch beef is guaranteed to be minimally processed and free of artificaial ingredients and preservatives. Harris Ranch cattle are grain fed for superior flavor and tenderness. Check out Harris Ranch online.